This walk: 2008-9-4. 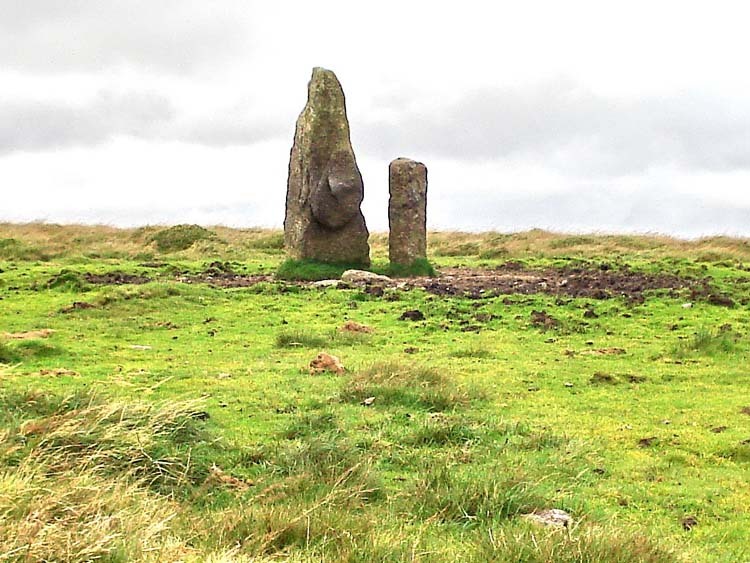 Harford Moor Gate, stone row (small), standing stones, Hobajohn's Cross, Spurrell's Cross, pool, cist, Hangershell Rock, Belted Galloway cattle, stone circles. 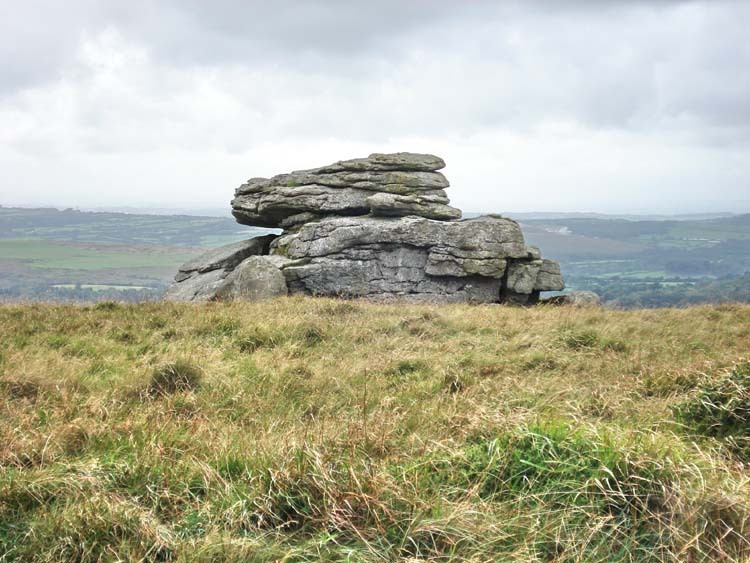 The walk was based on the Short-ish Walks on Dartmoor book, "Walk 14 - Piles Hill and Butterdon Hill". 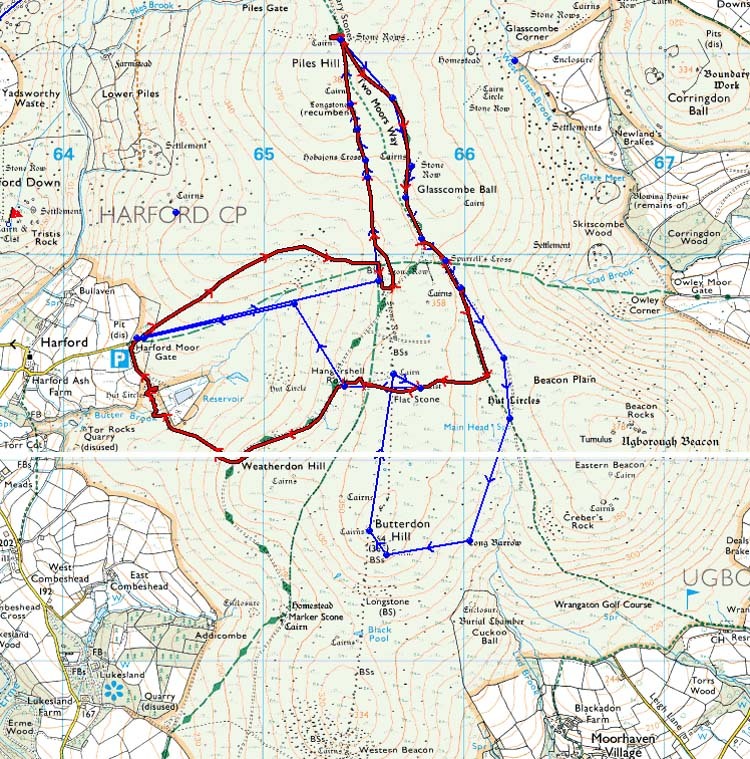 As the weather was dull, windy and showery, we cut it short from the planned blue route (see map below) as the red track shows and headed for the Cornwood Inn. After we came out, we saw it had obviously rained heavily so we thought it had been a wise decision! All map references on this page are taken from Memory Map, except for the cist. 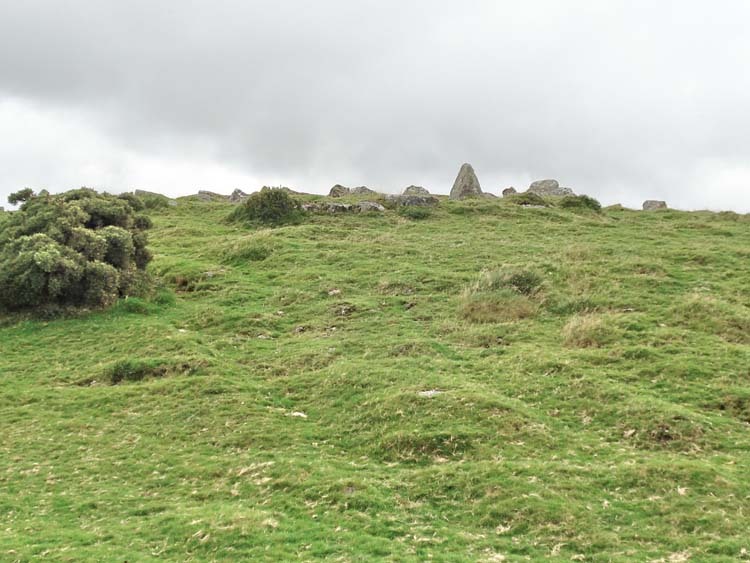 Part of Butterdon Hill stone row somewhere near SX 65578 59930. 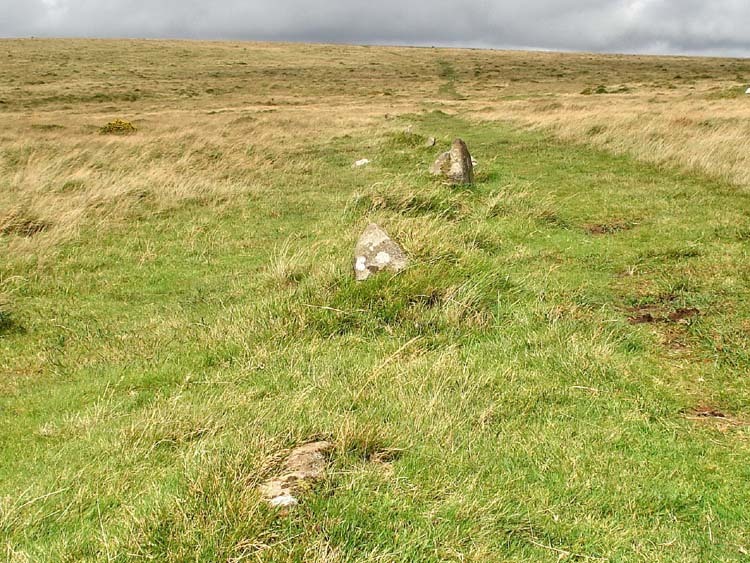 This incomplete row stretches for about 2 km but it is composed of very small stones and is not really very impressive to look at. 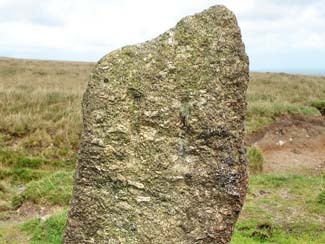 Hobajons Cross at (SX 65513 60475), in the stone row. 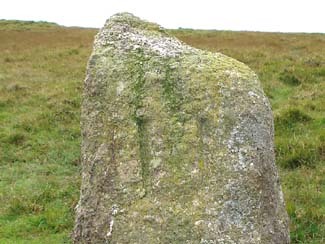 The cross is incised in the west face. 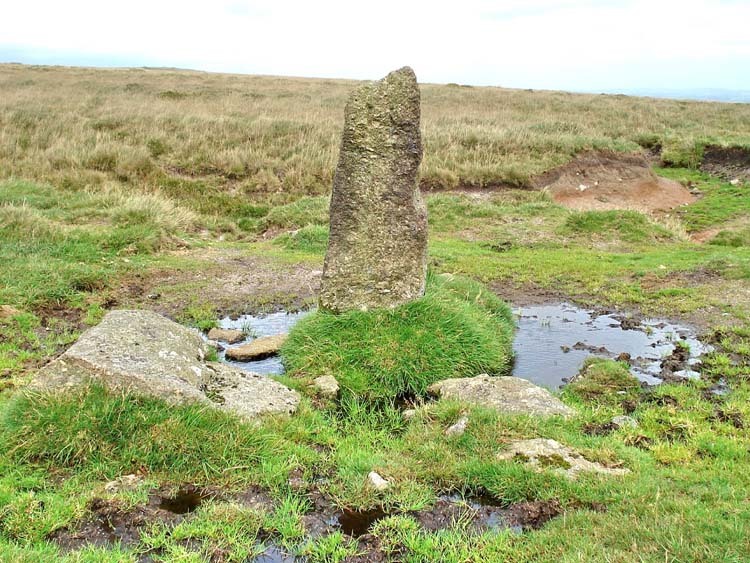 Ancient menhir and 'modern' boundary stone at SX 65433 60750, on the map as "Longstone". Pool at approx. SX 65790 60078, where a side path leads to Spurrell's Cross. 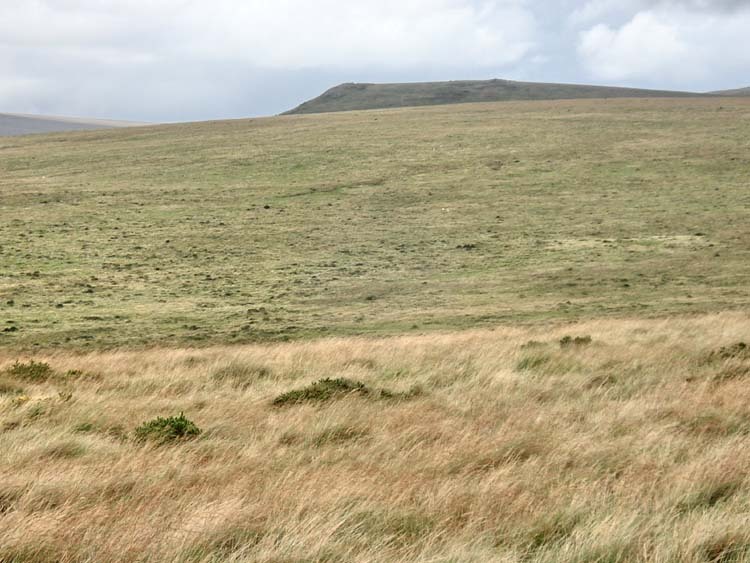 Zoomed view 133° magnetic towards Ugborough Beacon (left) and Eastern Beacon (right). 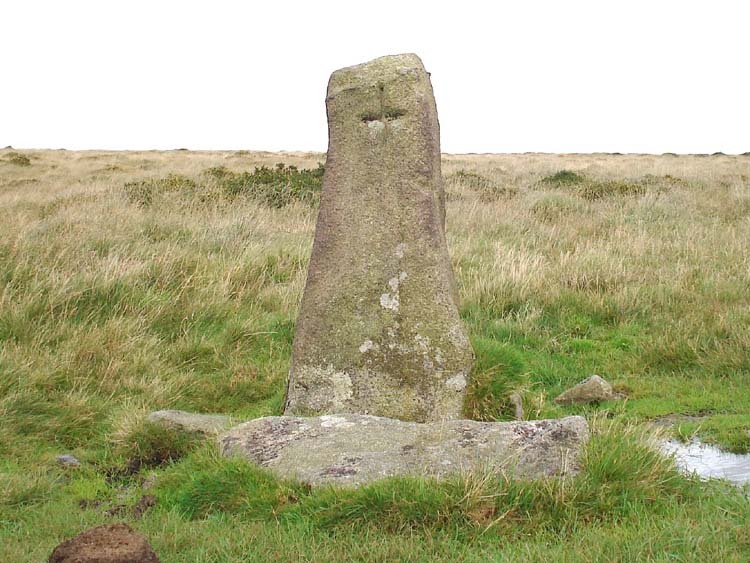 Spurrell's Cross at SX 65910 59970. 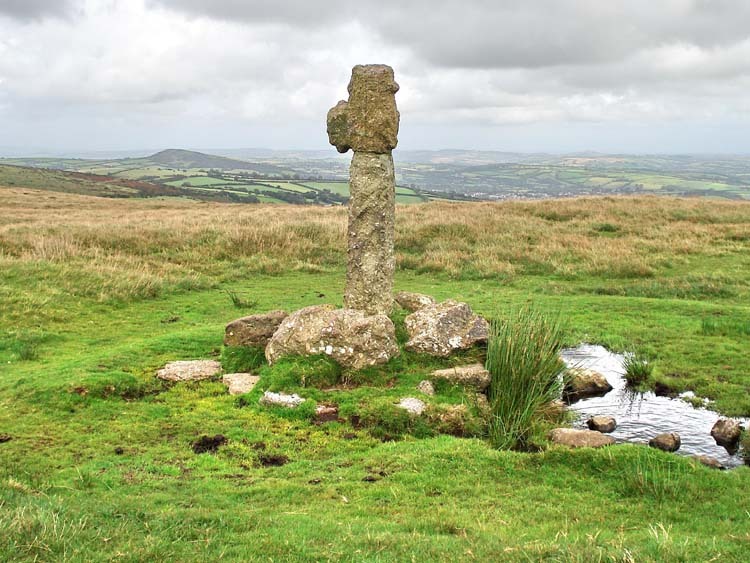 While mentioned on several pages in William Crossing's Guide to Dartmoor, there seems to be no actual description of this obviously ancient cross. 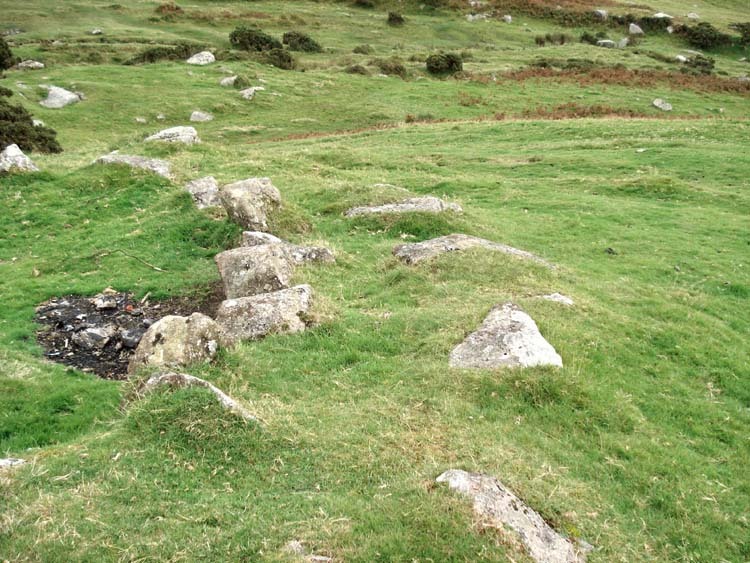 Cist at SX 65780 59342 ± 5 meters as 'fixed' by GPS. 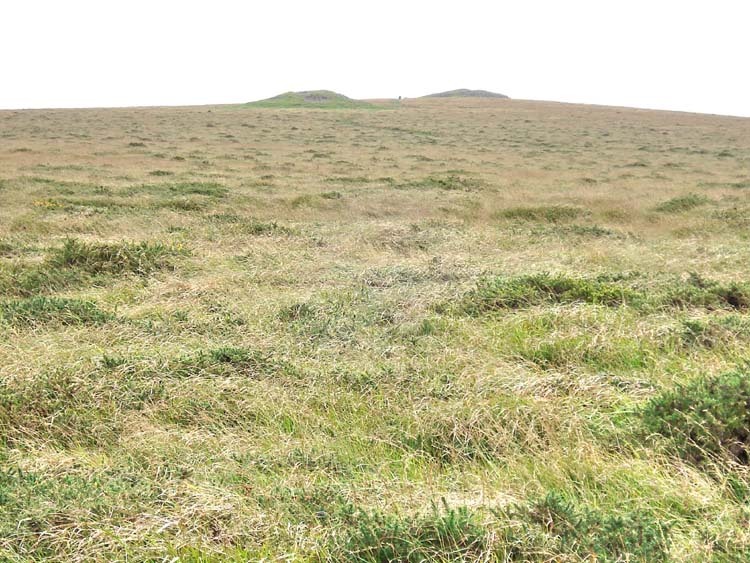 Looking south towards Butterdon Hill from near the cist. 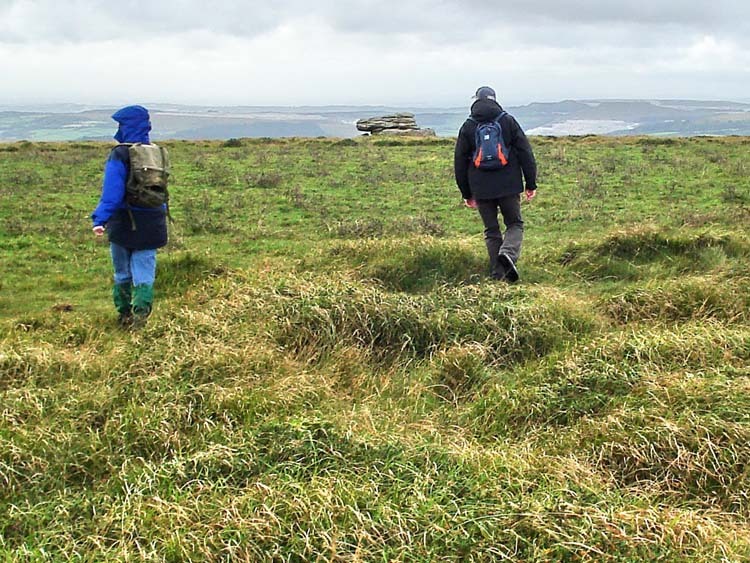 My two walking companions making for Hangershell Rock. Hangershell Rock, SX 65403 59345. 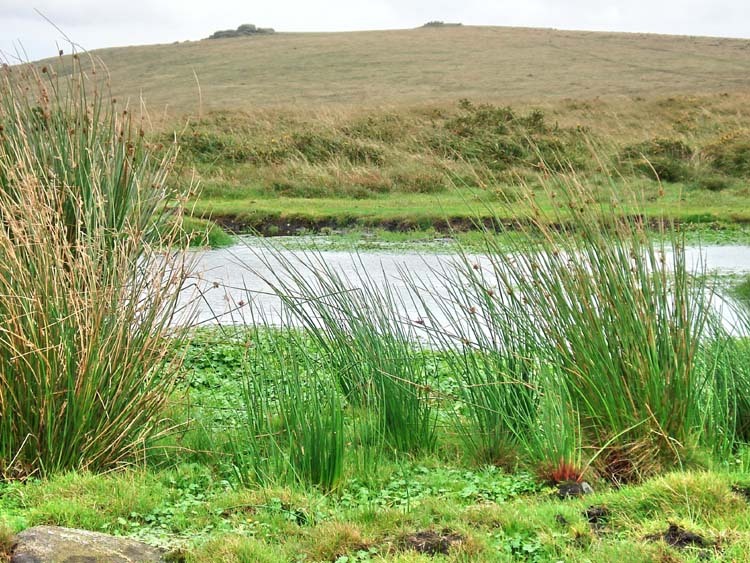 Looking almost due west towards the reservoir, surrounded by a plantation. 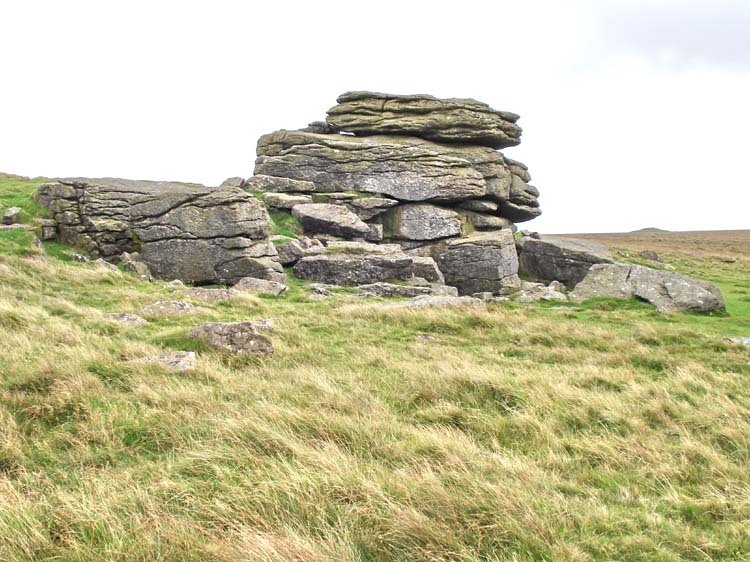 Looking north, to Sharp Tor, 2.35 km / 1.49 miles distant, 413 m / 1354 feet high. Hangershell Rock seen approx. from the north. 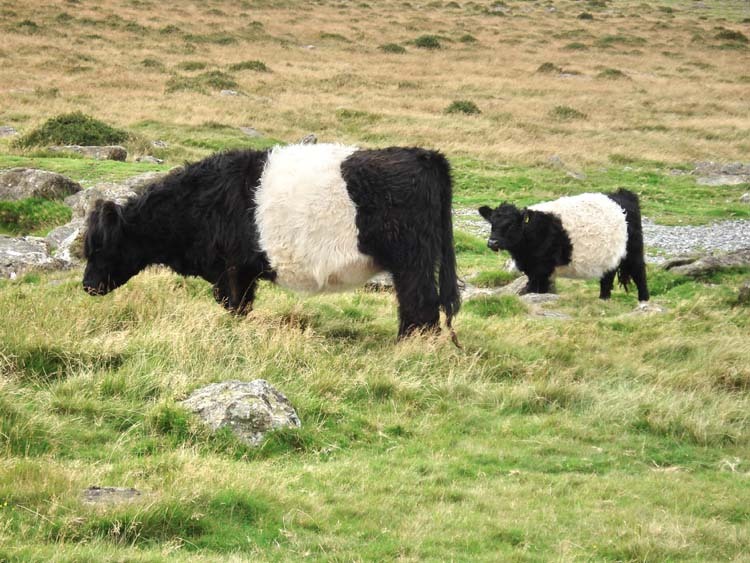 Belted Galloway cows - suited to poor upland pastures, bred for the marbled beef. 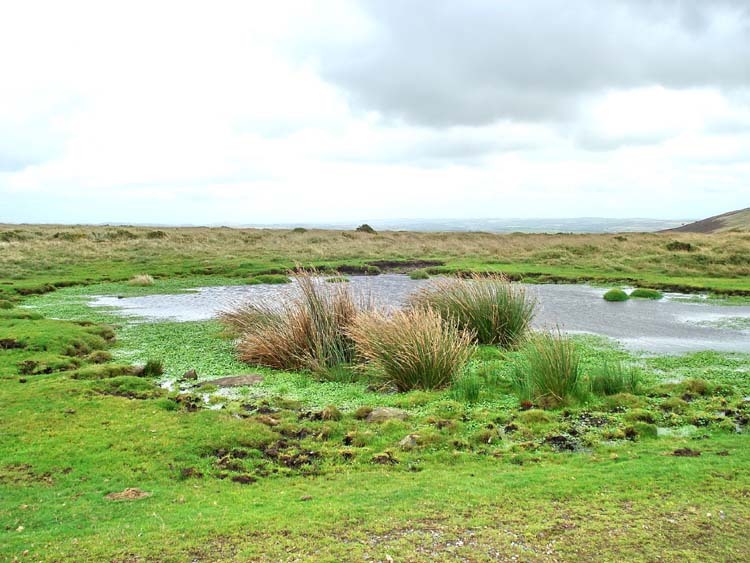 View approaching the hut circles at SX 64448 59295, beside the reservoir. 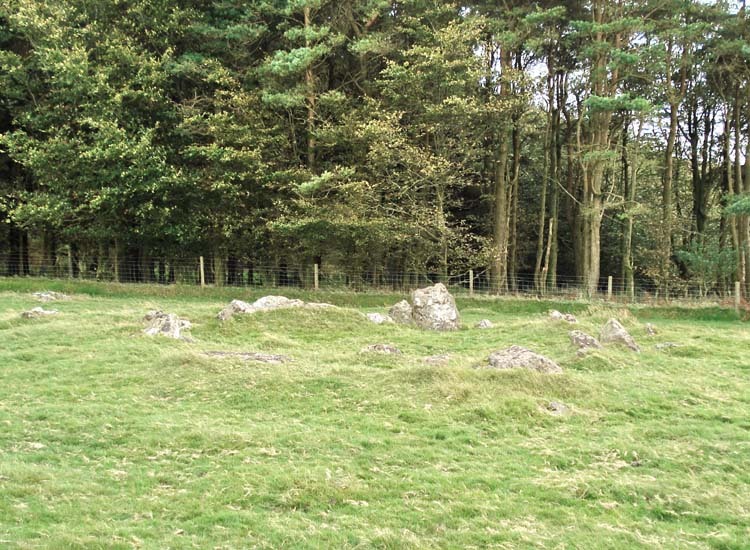 Close-up of the wall of a hut circle, showing the double circle of main stones (orthostats) which would have been in-filled with smaller stones and earth. 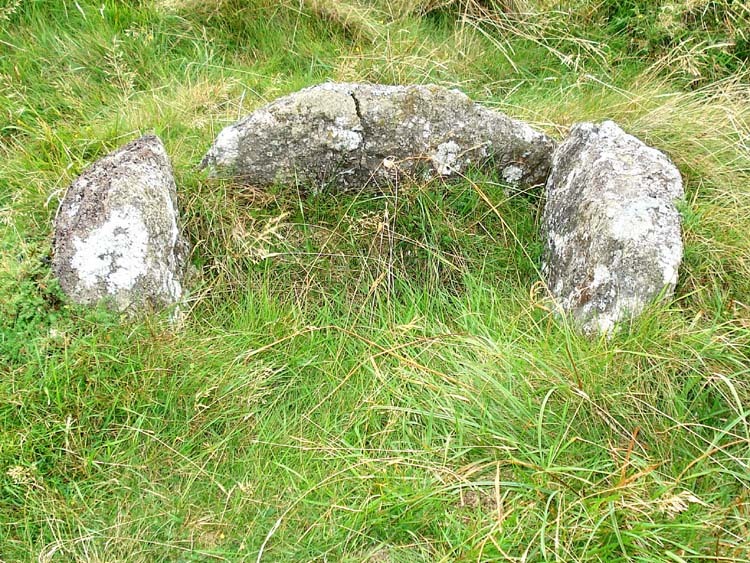 A round house / hut circle just outside the reservoir. Press F11 again to return to Normal View to get back to the "Back" button t on the browser to continue browsing. Access was via the A38 at Lee Mill, turning up past the large Tesco store and following the road to Cornwood. 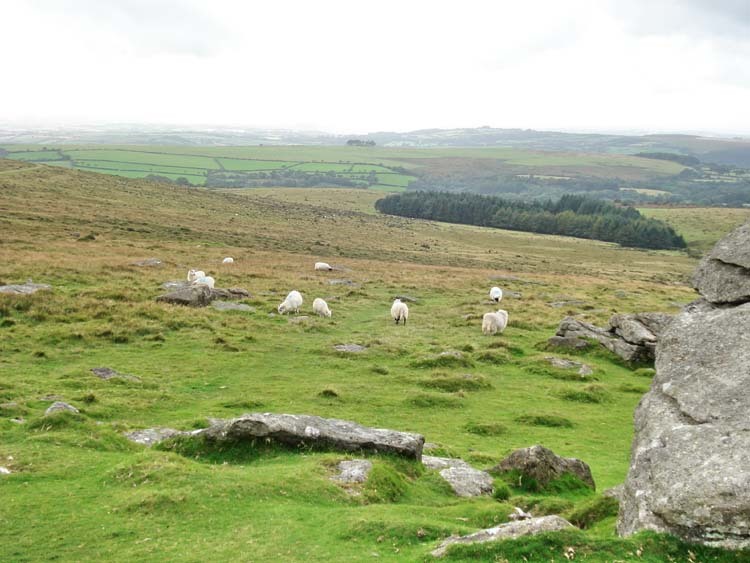 After turning right in Cornwood, the road becomes very narrow, there are 4.7 km / 2.9 miles of typical narrow Dartmoor lanes to negotiate. Parking was at the P symbol on the map, immediately after passing through Harford Moor Gate.